Dutch site OneMoreThing grabbed some pictures of the unique vessel that Steve Jobs was designing at the time of his death a year ago with French designer Philippe Starck. The project was started in 2009 and today’s launch of ‘Venus’ was attended by Jobs Wife and three of his children. 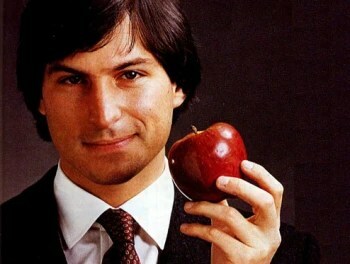 Categories: Apple | Tags: advertising, apple, architecture, arts, aviation, business, design, steve jobs, stevejobs, yatch | Permalink. Yesterday, a nice little sound clip from Steve Jobs talking on a 2010 earnings call was creating some buzz (and snickers) from people around the net. Why? Because during the call, Mr. Jobs mentions why Apple would never make a 7-inch tablet. Of course, this led to discussions on how Tim Cook is running Apple into the ground, going against Steve Jobs’ wishes. Crazy stuff like that. 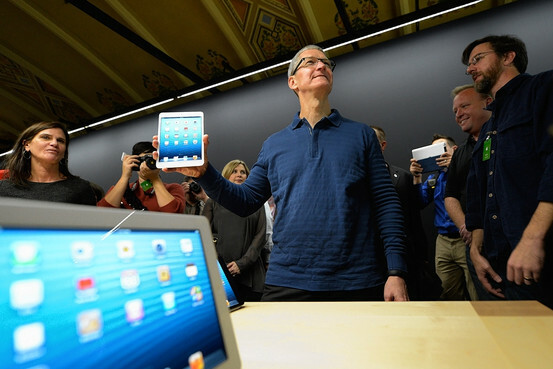 Well, today Apple held their earnings call were Tim Cook decided to clarify on Apple’s position with 7-inch tablets. Did he backtrack? Not quite — according to him, the iPad Mini isn’t 7-inches. Duh! In your face. Take that, logic! Categories: Apple | Tags: backtrack, crazy stuff, snickers, steve jobs, Tim cook | Permalink. On this day last year Steve Jobs passed away. The news took us and most of the press by surprise. Everyone knew Apple’s chief executive wasn’t doing well, but he managed to keep his life private until his very last moments. He left Apple at a good shape and that is not surprising, but what few could suspect was the quick and huge sales success of the iPhone and iPad that followed soon after that made the company the world’s largest firm by a huge margin. Recently, Apple flirted with $700 price per share and a market cap exceeding $650 billion. This was no coincidence. The thought that he isn’t going to make it much longer might have crossed Steve Jobs’ mind the first time he heard his diagnosis of a rare form of pancreatic cancer in 2004. In the following years Apple introduced groundbreaking new products like the MacBook Air, the iPhone, and the iPad, all of which changed or created an industry. Categories: Apple | Tags: apple, ipad, iphone 5, steve jobs, technology, Tim cook | Permalink.